We were honoured to present our work at Cube Cities at the Tools & Technologies for Campus and Building Cluster Sustainability Management Workshop at Carleton University this week. Professor Liam O'Brien organized an outstanding and very well attended event showcasing the latest in data visualization techniques for building energy and design management. The NSERC-sponsored event hosted approximately 50 researchers and industry representatives to discuss the current state of the art and future industry and researcher needs. Cube Cities was included on a panel discussing building performance data and design visualization with groups from Autodesk, Carleton University, UBC and the University of Calgary. 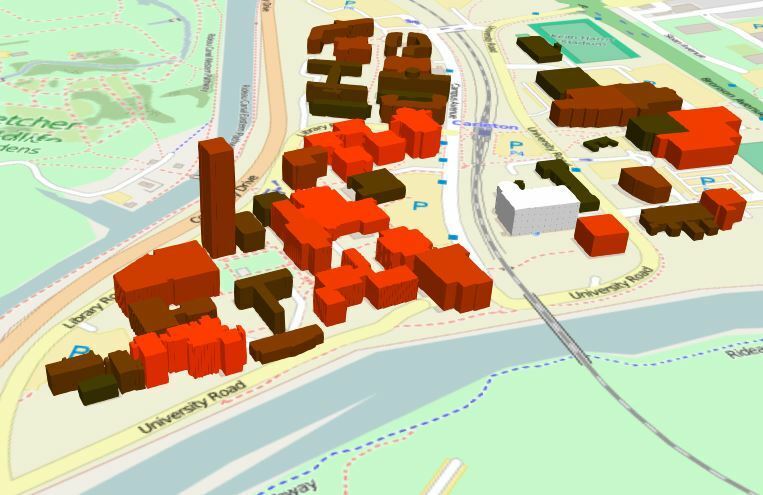 Additionally, it was exciting to learn about a new project at Carleton that is using Cesium to visualize energy and water usage data in buildings on campus. Learn more about that project at the Human-Building Interaction Lab here. Events like these remind us of the versatility of the Cube Cities technology to energy management and BIM techniques that have become core to best practices in real estate development and portfolio management.